The Final answer to your serious Chocolate cravings. Try this NOW! Milk- 1 1/2 tbsp + few drops more, if you only feel that the mixture is too dry. 1 1/2 tbsp worked fine for me. In a ceramic mug mix all the ingredients. The batter will be little thick, but it’s absolutely fine. Then microwave on high for 1 minute. 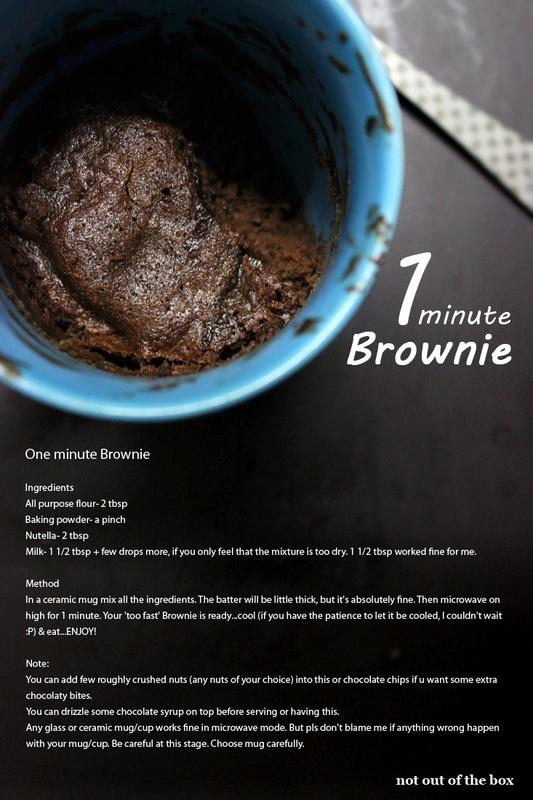 Your ‘too fast’ Brownie is ready…cool (if you have the patience to let it be cooled, I couldn’t wait :P) & eat…ENJOY! This is best to eat when warm. You can add few roughly crushed nuts (any nuts of your choice) into this or chocolate chips if u want some extra chocolaty bites. 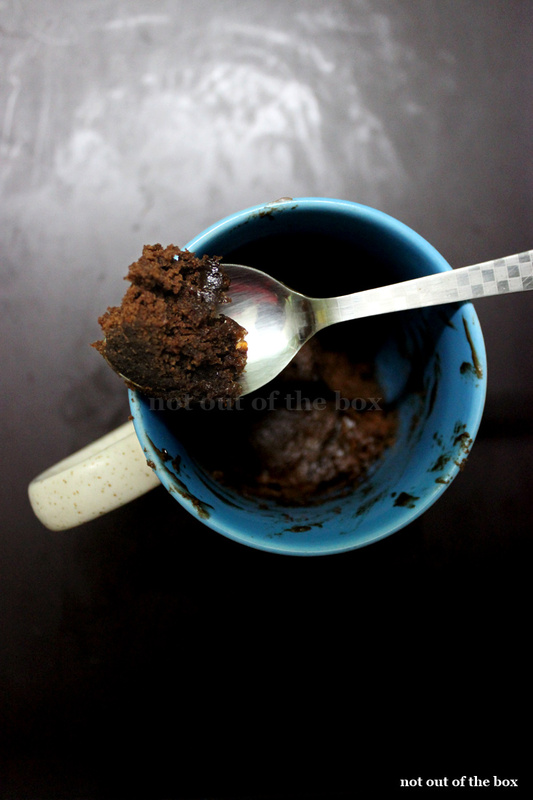 You can drizzle some chocolate syrup on top before serving or having this. Any glass or ceramic mug/cup works fine in microwave mode. But pls don’t blame me if anything wrong happen with your mug/cup. Be careful for this stage. Choose mug carefully. Mam, Its look like yummy n m sure that it is look wise not only yummy its taste is also yummy… One thing i want to know that can i use chocolate sauce instead of Nutella..? ?